The Gavin And Stacey funnyman said: "You know if you're a music fan you've got the best seat in the house. "You get to watch them rehearse and you're around the whole atmosphere. "You put yourself in the middle. I will never win a Brit award, nor will I ever perform at the Brits, so to have the chance to just be part of the night somehow is an honour, really." 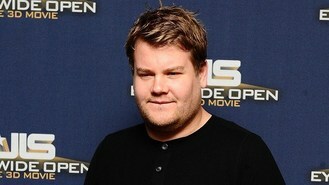 Corden said he was looking forward to seeing Blur, who are playing an 11-minute set at the end of the show. He said: "I think they are going to be really special. It's going to be amazing. "It's going to be incredible just to see Blur for 11 minutes."